Access cards has many objectives, including controlling access to door and gate, enabling users to sign documents electronically, and enter controlled facilities with magnetic stripe, contact and contactless smart cards. SMART card printers provide perfect technologies to make an access card with excellent encoding technology. Access control cards have many uses in today’s organizations. 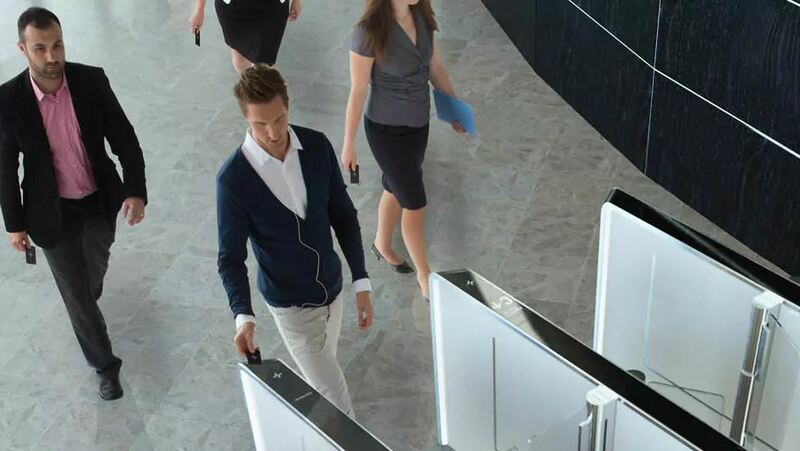 They can limit access to and from buildings in conjunction with unmanned turnstiles, be used as a visual “flash-pass” at visual security access points, and more increasingly can be used for logical access to PCs and networks. Logical access offers many benefits to organizations but the most common use is for “single sign-on” in which an access card can be used in addition to or in replacement of a password to gain access to PCs or networks. IDP’s printers offer IC contact and contactless access card solutions to include MIFare®, DESFire®, iCLASS® and proximity that can be customized for your specific needs. Magnetic stripe: The all famous “swipe-to-enter” card system. Providing coercivity of either HiCo or LoCo, you can have an encoding option to suit your needs and budget. Contact Card Access: A more secure option, chip contact would require card holders to insert the card into the reader. Using ISO 7816 internal smart card chip encoding, you can be sure that each card secures different encoding to provide the best security available. Contactless Card Access: Famous for being user-friendly, contactless card systems provide the most convenient way of access control. Just a tap to the reader and you’re good to go. But don’t take these too lightly though, all encoding are compliant with ISO 14443 (Type A/B), ISO 15693 and MIFARE standards. Thermal Transfer printing of UV Images: Printing of Ultra-Violet (UV) images on your cards at strategic locations can be used as a security feature in determining the authenticity of the passes. So be it for employer cards or visitor passes, each card can be customised to your personal liking and at the same time helps your crowd control.